Federico Beltran-Masses. Stair Sainty Gallery,Dover st Mayfair London. Masterpiece Art Fair London, until 3/07/13. Federico Beltran-Masses, Cuban portrait painter Born Guaira de la Melena Cuba 1885-1949 Barcelona.Dancer in Venice. 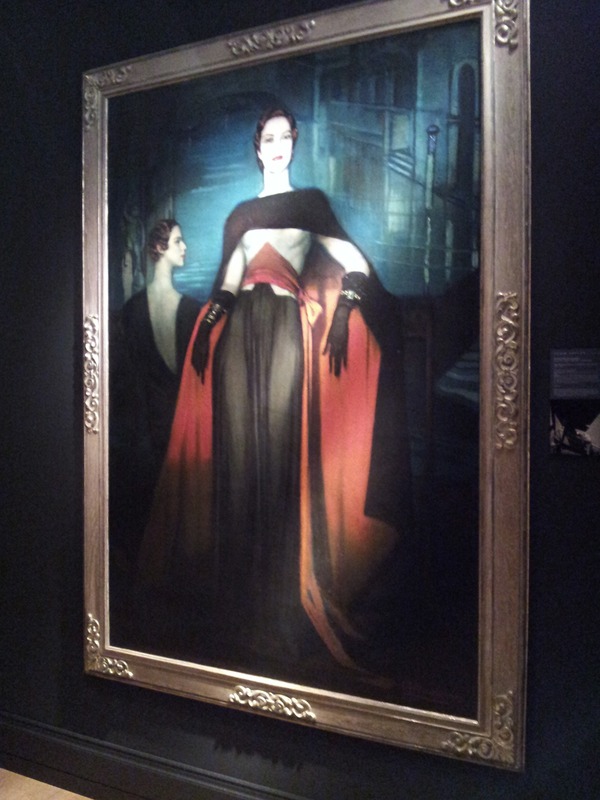 Stunning painting , presented by Stair Sainty Gallery,38 Dover Street, Mayfair London. Masterpiece Art Fair London until 3rd July. 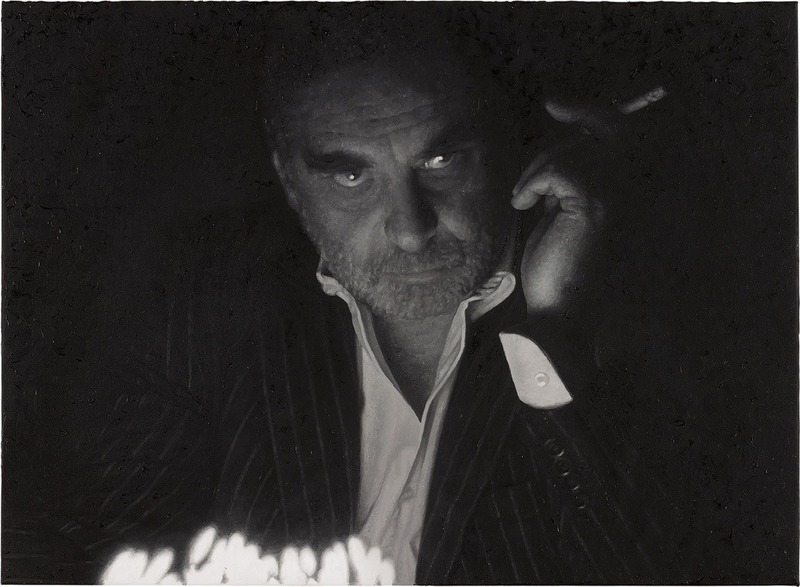 Rudolf Stingel. 2010. Untitled. Stingel born 1956 Merano Italy. 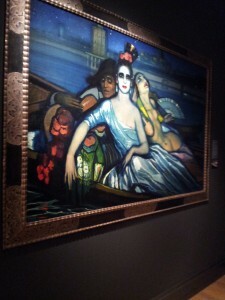 Collected by the World’ s most prestigious Modern Art Museums. Including Trento,Frankfurt,Chicago,Berlin & the Whitney Museum of Modern Art, New York. Image Courtesy Gagosian Gallery. Rudolf Stingel Bolego Untitled. sold for £782.500 at Philips Contemporary Art Auction.27/06. Rudolf Stingel born 1956 Merano, Italy. Rudolf Stengel works between New York & Merano. His works are collected by the World’s most prestigious Contemporary Art Museums. Including Trento,Frankfurt,Chicago,Berlin & the Whitney Museum of Modern Art in New York. Image Courtesy of Philips. 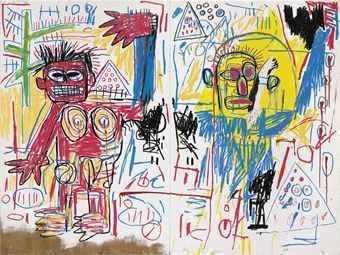 Jean Michel Basquiat. 72X96ins. 1982. sold for an amazing £ 18.765.875. @ Christies Evening Contemporary Art Auction,25/06. Total Result for the Auction £70.253.225. Peter Doig. “Jetty”. sold for £7.341.675. @ Christies Evening Auction for Contemporary Art. 25/06. 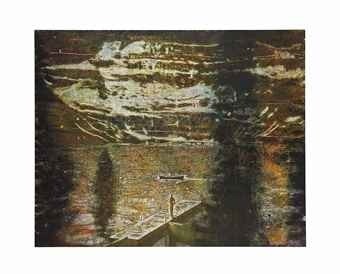 Peter Doig “Jetty” painting sold at Christies evening Contemporary Art Auction 25/06. for £7.341.875. Evening Total £70.253.225. 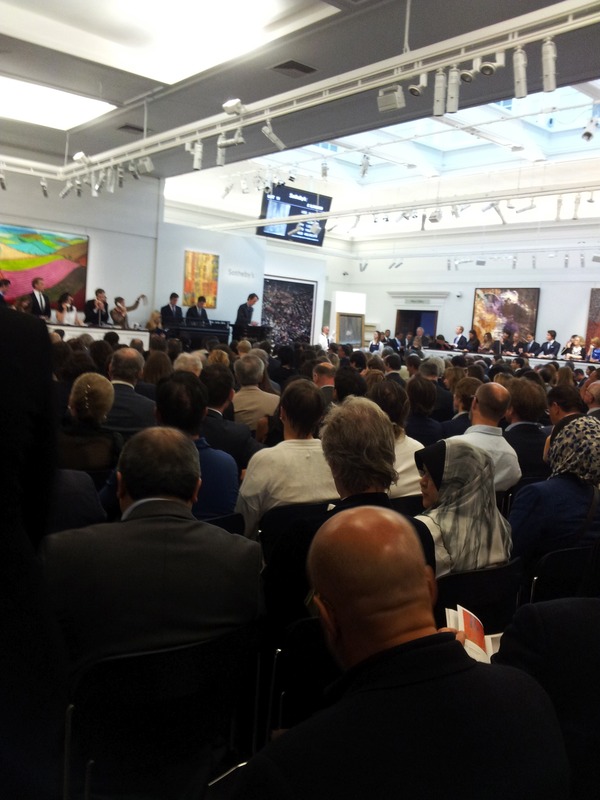 Sothebys evening auction 26/06 for Contemporary Art realised total£75.800.000. Pierre Soulages Peinture £3.800.000. hammer. Francis Bacon Head.111 £9.250.000.hammer. David Hockney £3.000.000.hammer. 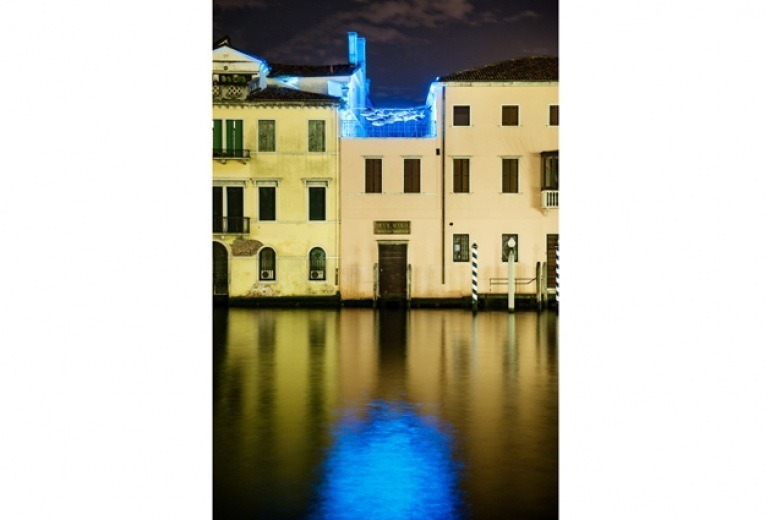 Lucio Fontana Concetto Spaziale, le Chiese di Venezia, realised £3.900.000. Masterpiece. Federico Beltran-Masses. Cuban painter. Claridges Hotel, London. Charleston Masterclass 15th July 2013. 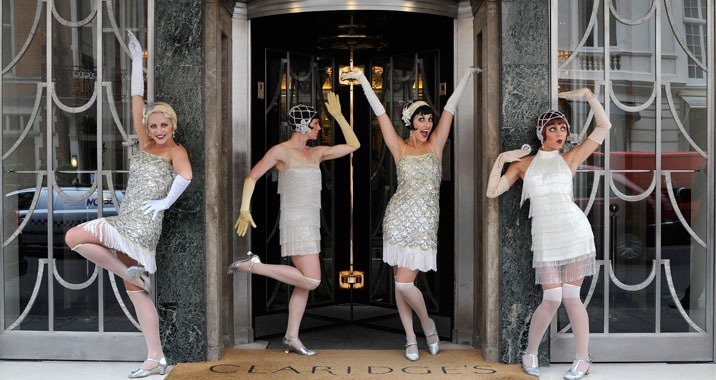 Claridges Hotel, London, holding last Charleston Masterclass 15/07/13 Resa 0107 201 1618 £125. 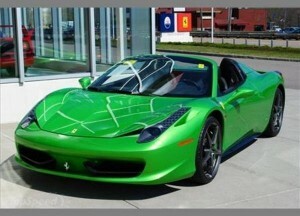 Ferrari 458 Spider. 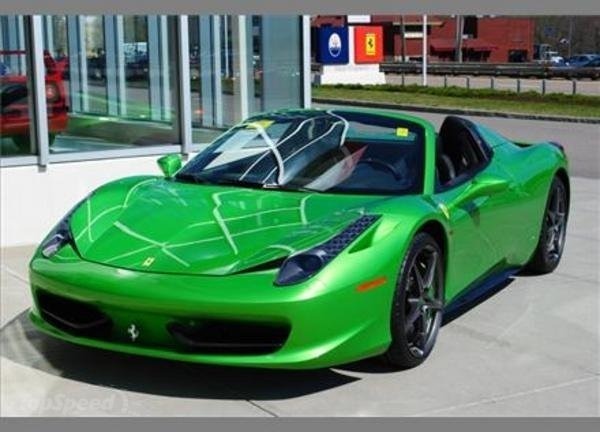 Awarded Best Cabriolet by Sport Auto 6/6/13. 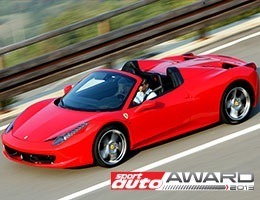 Germany’s Sport Auto magazine awarded Best Cabriolet to Ferrari’s 458 Spider 6/6/13. 4.5 litre V8 engine. 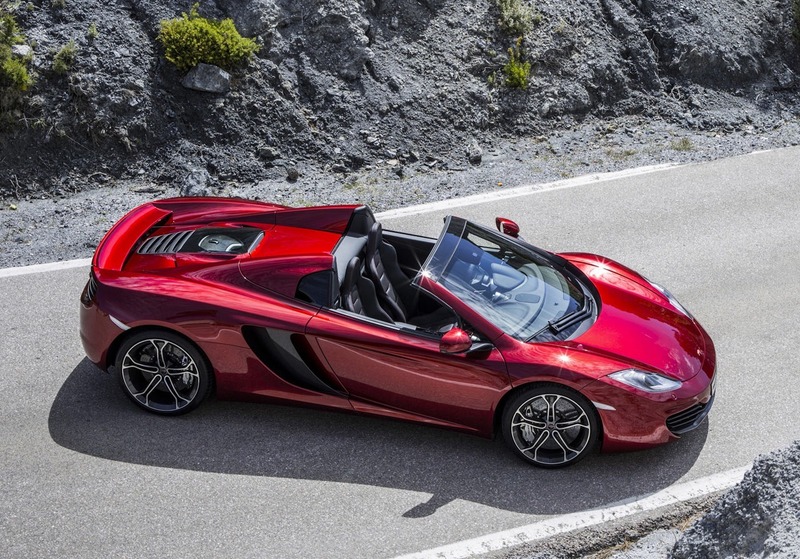 Folding hard top convertible. Venice Biennale. 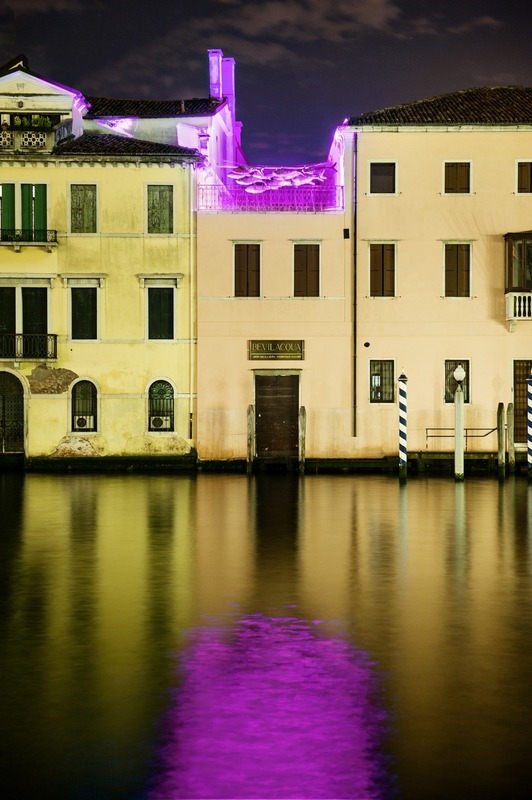 Anna Paola Cibin’s Art Installation, fishes flying over the ancient roofs overlooking the Venice Grand Canal, nite illuminations reflecting violet in the calm water. 2013. Venice Biennale. Venetian Artist Anna Paola Cibin’s latest Art installation. 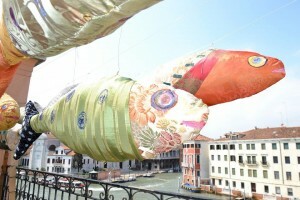 Hand Decorated Fishes flying above Venice’ Grand Canal. Venice Biennale. Venetian Artist Anna Paola Cibin’s latest art installation. 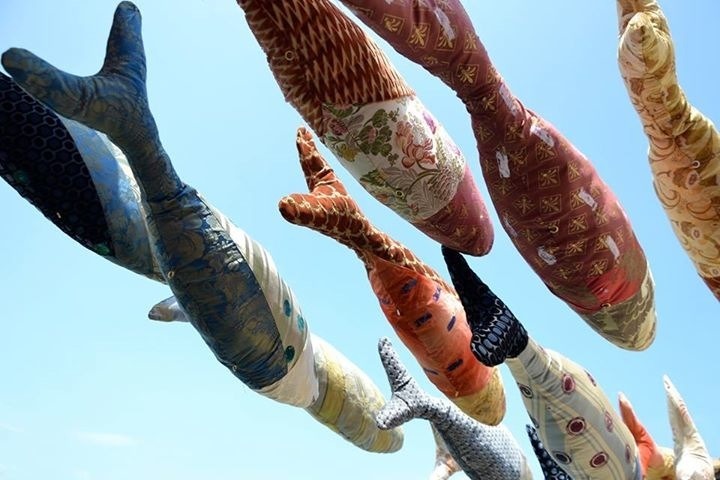 Hand decorated metre long fishes flying high above the Grand Canal, Venice. Illuminated at nite. Venice Biennale. Anna Paola Cibin’s latest artistic installation,fishes flying above a building overlooking the Grand Canal in Venice. Venice Biennale. Imaginative Venetian Artist, Anna Paola Cibin’s latest artistic installation. Starry fishes dreaming in the skies above a building on the Grand Canal in Venice. Each metre long fish hand decorated. Illuminated at nite. Anna is well known for her creative work on her hand decorated velvet panels, using her own techniques based on ancient methods. Incorporating silver and gold leaf, & using Murano glass beads. Anna Paola worked for a time with the Murano Master glass blowers. Anna Paola also collaborated with the Venetian Textile company Rubelli. The history of Venice is linked to textiles, Creating, exporting etc. There is also a museum in Venice, dedicated to the fabulous Fortuny fabrics. Venice Biennale. 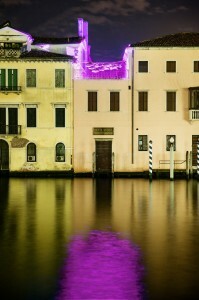 Anna Paola Cibin’s latest artistic installation on the Grand Canal Venice. Starry Fishes. Venice Biennale. Anna Paola Cibin’s latest artistic installation on the Grand Canal Venice illuminated starry fishes. Magical reflections in the waters of the Venice canal. 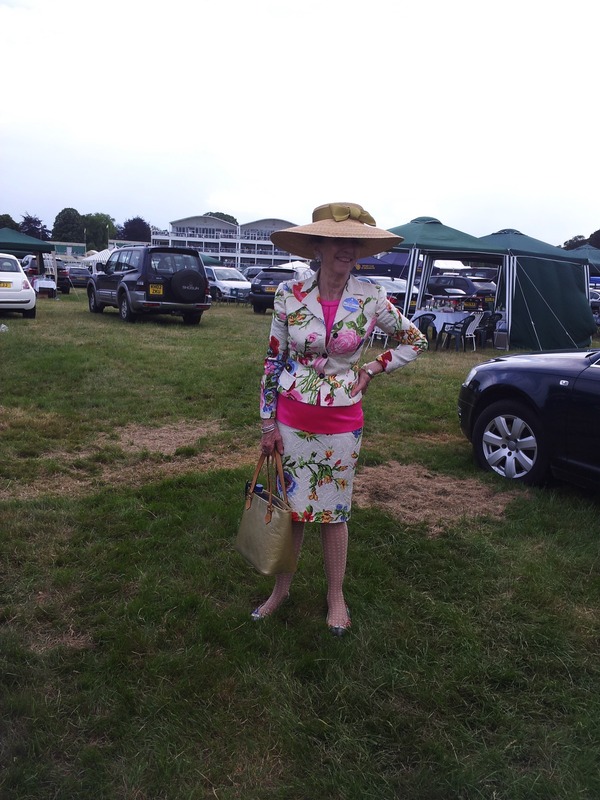 Royal Ascot Races 2013. Dolce & Gabbana floral silk suit for a grey,windy day. 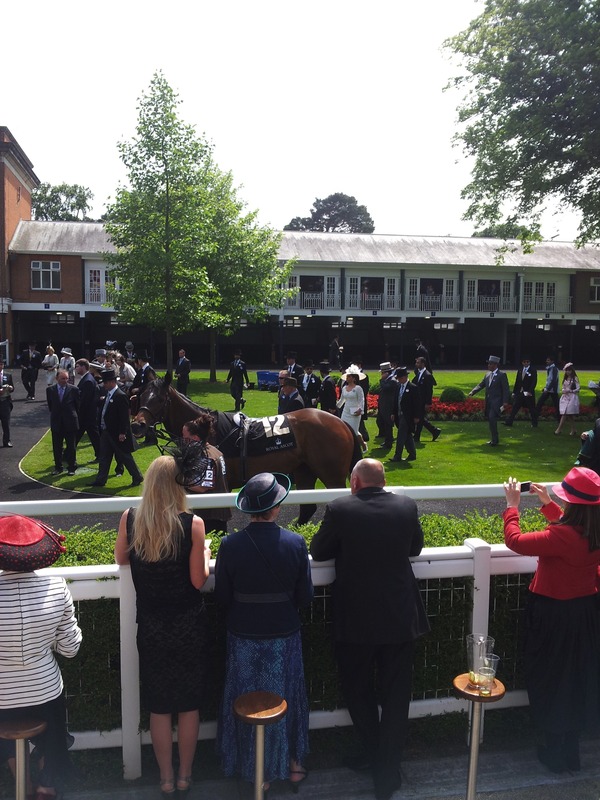 Royal Ascot, 2013, horses parading round the paddock, watched by the owners, before being saddled up. 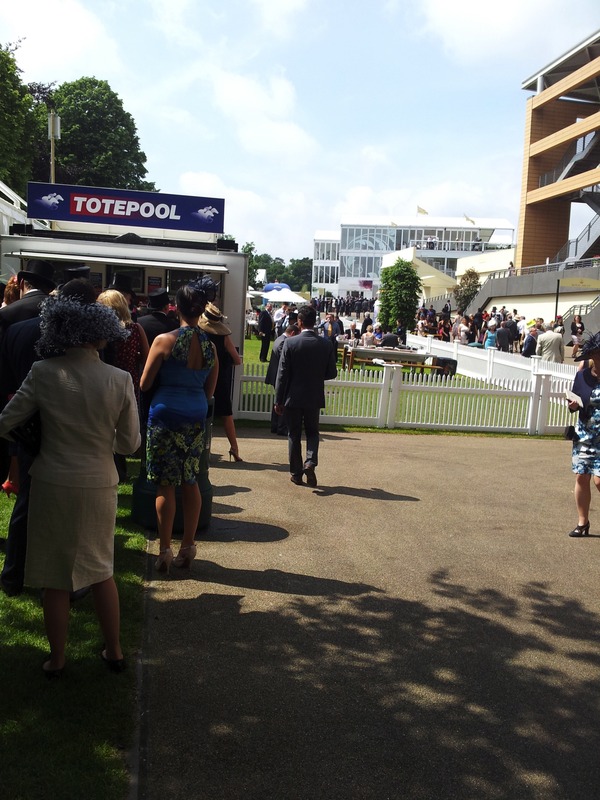 Royal Ascot. The Paddock. Owners waiting for their runners to be saddled up. 2013. Royal Ascot. 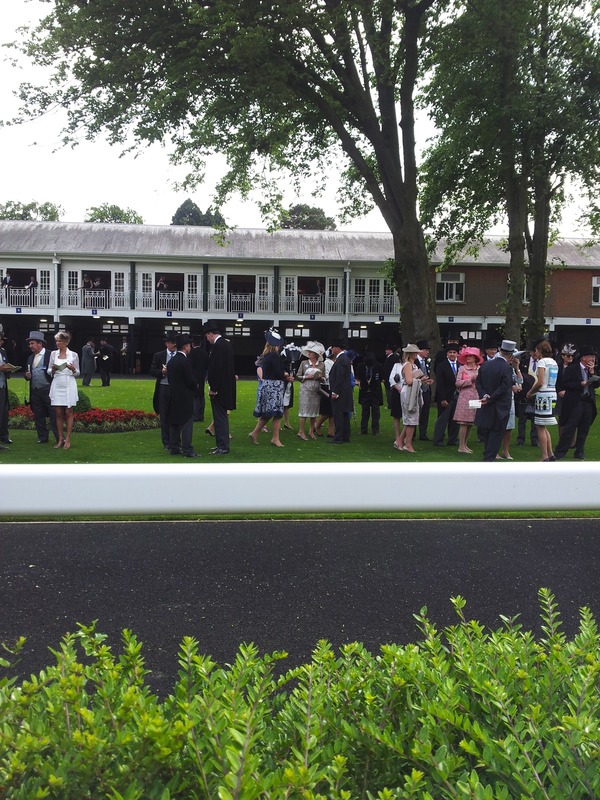 The Paddock, owners waiting for their runners to be saddled up. Royal Ascot racegoers putting on a bet at the Tote. 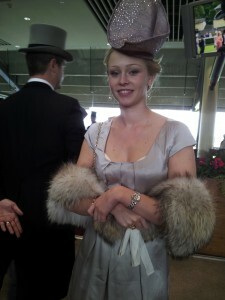 Racegoers @ Royal Ascot putting on a bet at the Tote. Horses parading in the paddock. 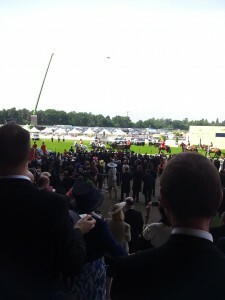 Royal Ascot 2013. Royal Enclosure at Royal Ascot Races friday 21st June. Stylish & pretty Scandinavian Beauty. 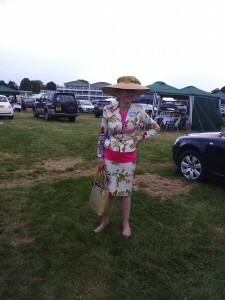 Stylish & Pretty girl at the Royal Enclosure @ Royal Ascot Races on friday June 21st. Scandinavian Beauty. Catherine, I believe. Half Norwegian ,half Finnish/Danish. 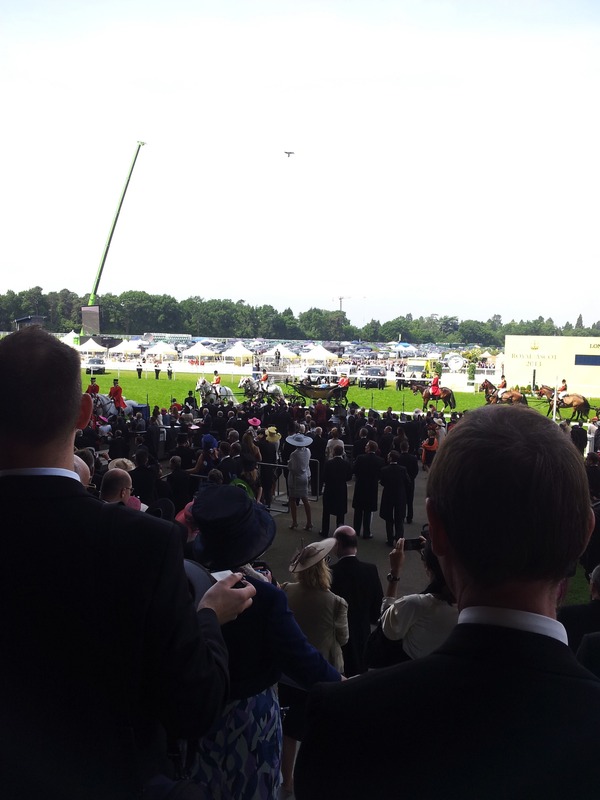 HISTORIC ROYAL ASCOT,THIS AFTERNOON, AS THE MONARCH’s HORSE,ESTIMATE WINS ASCOT GOLD CUP. TRAINER SIR MICHAEL STOUTE. JOCKEY RYAN MOORE. 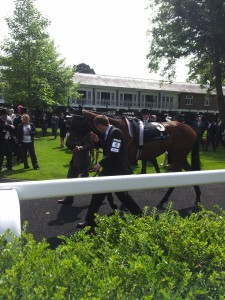 H.M. QUEEN’S HORSE GOLD CUP WIN AT ROYAL ASCOT WITH ESTIMATE, TRAINED BY SIR MICHAEL STOUTE, JOCKEY RYAN MOORE. 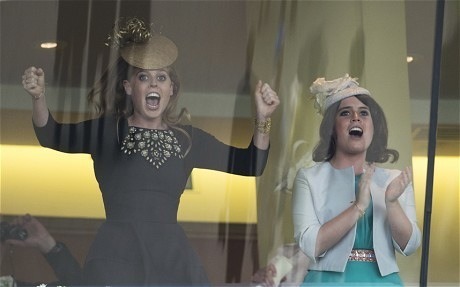 PRINCESSES BEATRICE & EUGENIE CELEBRATING THE WIN OF THEIR GRANDMOTHER’s HORSE, ESTIMATE. 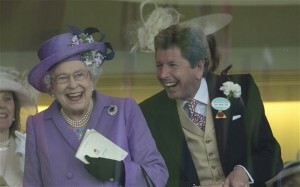 FIRST GOLD CUP WIN BY A REIGNING SOVEREIGN WON BY A NECK. TRAINED BY SIR MICHAEL STOUTE, & JOCKEY RYAN MOORE. DAILY TELEGRAPH SPORTS. HOW SAD THAT HIS ROYAL HIGHNESS, PRINCE PHILIP, WHO IS IN HOSPITAL, WAS NOT ABLE TO SHARE THE QUEEN’s PLEASURE AT HER WIN, WITH HER. 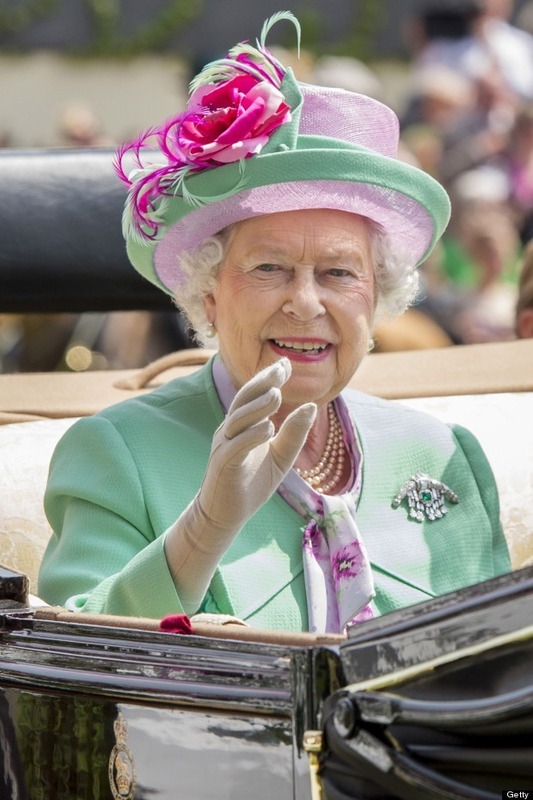 H.M The Queen at Royal Ascot. Her Majesty Queen Elizabeth 2 @ Royal Ascot Day 2. 19/06/13 Looking radiant in mint green & rose pink. Photo Mark Cuthbert/UK Press via Getty Images. Huffington Post. 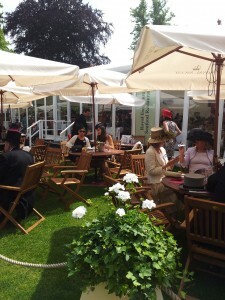 HATS AT ROYAL ASCOT RACES. 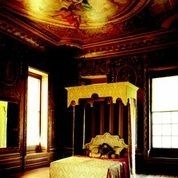 “SECRETS OF THE ROYAL BEDCHAMBER” EXHIBITION. SPONSORED BY SAVOIR BEDS. AT HAMPTON COURT PALACE. JUST OUTSIDE LONDON. 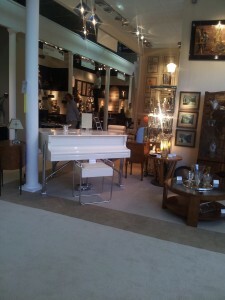 CELEBRATING THE OPENING OF SAVOIR BED’s NEW,4th FLOOR, 535, KINGS ROAD,CHELSEA, SHOWROOM.ROYAL STATE BED. INSPIRED BY 17 & 18TH CENTURY ROYAL BEDS.LAUNCH TO COINCIDE WITH THE OPENING OF THE EXHIBITION “SECRETS OF THE ROYAL BEDCHAMBER” @ HAMPTON COURT.KING HENRY 8th,s FAMOUS PALACE ON THE THAMES.XHIB SPONSORED BY SAVOIR BEDS. 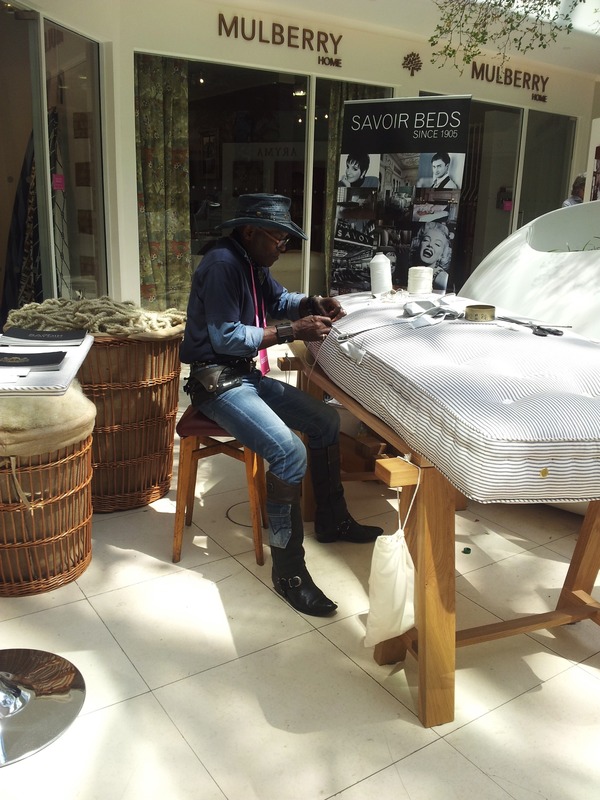 Hand sewn Savoir Beds exhibiting at Chelsea Harbour, during Super Yacht Week. Mattress being hand stitched by TJ, expert mattress maker. Custom made beds guaranteeing total comfort. Made in the UK using traditional methods. P.O.A. J.ROBERT SCOTT.EXCLUSIVE MADE IN AMERICA FURNITURE CHELSEA HARBOUR LONDON. 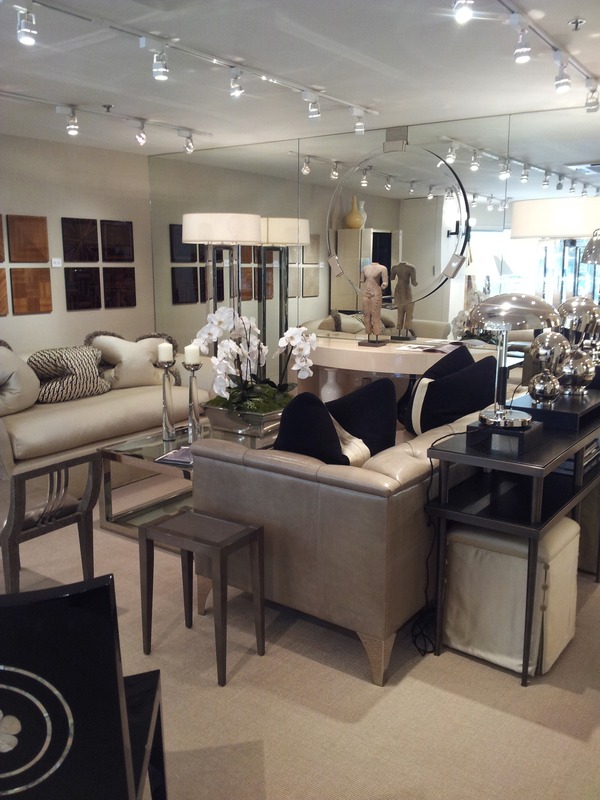 J ROBERT SCOTT’s showroom at Chelsea Harbour London. A large choice of exclusive furniture beautifully made in America. Quality leather sofas. Exclusive glossy finishes for their lacquer tables & chairs, using unique “OMBRE” finishes. Low key bronze tone finishes for occasional furniture. A range of neutral tone fabrics, from cream.thru putty,beige to grey in many textures. Corporate, Hotels & a discreet private Clientele. GREAT GATSBY. BAZ LUHRMANN’s ABSORBING FILM. Gatsby. Baz Luhrmann’s absorbing film with Leonardo diCaprio, Tobey Maguire.Joel Egerton. Carey Mulligan. Fable of unrequited HOPE. Gatsby hopes that if he can be together again with his moment of happiness, when he met Daisy, that everything else in his life will come right. Inspired by F. Scott Fitzgerald’s book. The Great Gatsby. 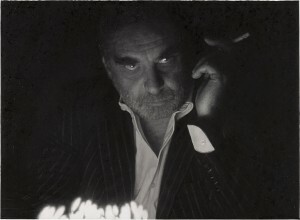 PIERO FORNASETTI. ICONIC ITALIAN DECORATIVE FURNITURE CREATOR. HOLLY JOHNSON’s STAND. 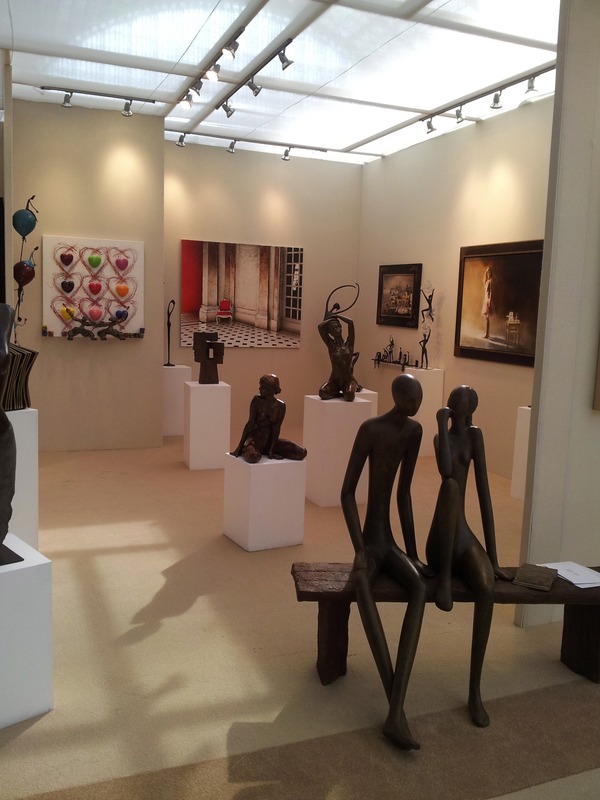 LONDON OLYMPIA FINE ART FAIR UNTIL JUNE 16 2013. 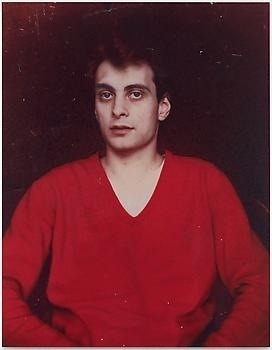 ETTORE SOTSASS.ITALIAN FURNITURE MAKER. ICONIC CABINET HOLLY JOHNSON’S STAND. 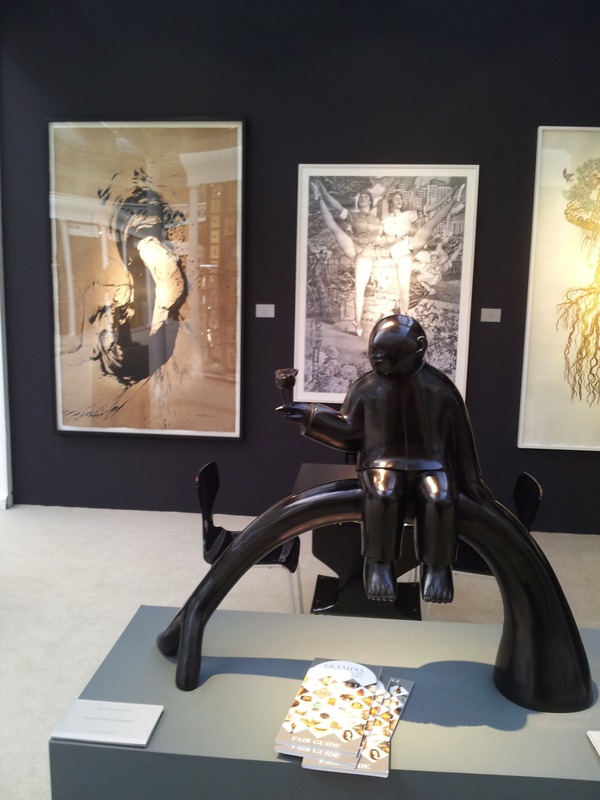 LONDON OLYMPIA FINE ARTS FAIR. 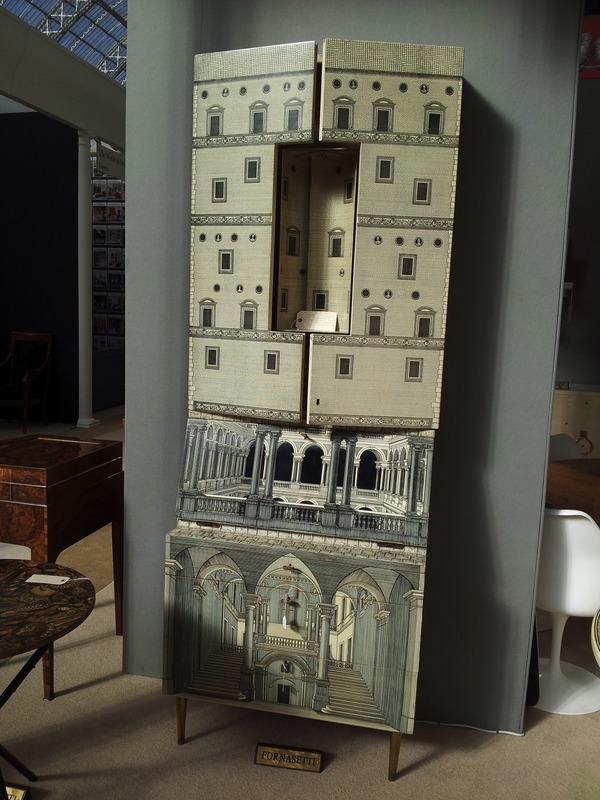 ETTORE SOTSASS the Italian, furniture designer’s famous decorated cabinet. Sotsass , Turin based, (1917-2007) Started his design career working for Olivetti & created the famous red typewriter. Holly Johnson Galerie. London Olympia Fine Arts Fair. 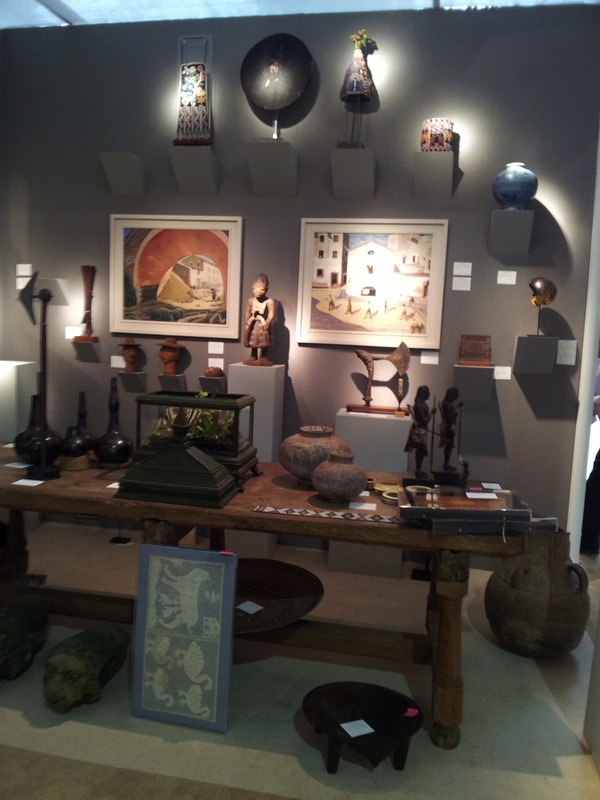 TRIBAL ART ON STOTHERT & TRICE STAND @ LONDON OLYMPIA FINE ART & ANTIQUES FAIR UNTIL 16 JUNE. TRIBAL ART SPECIALIST. STOTHERT & TRICE’s stand presenting unusual & fascinating tribal art. 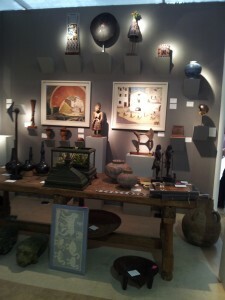 London Olympia Fine Art & Antiques Fair. Otherwise charming Poppy & Zorro are on Saturdays @ the Galerie at the Admiral Vernon on Portobello Road, London. Dinane & Chigine Galerie. 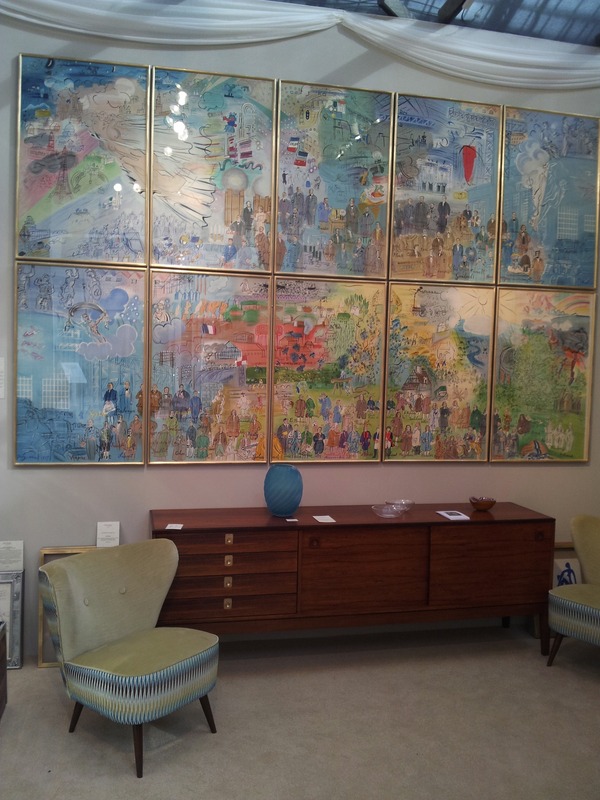 Exhibiting a rare panel set of the famous DUFY prints for the Electricite de France. Numbered. London Olympia Fine Arts & Antiques Fair. Until June 16th. Michael Goedhuis. 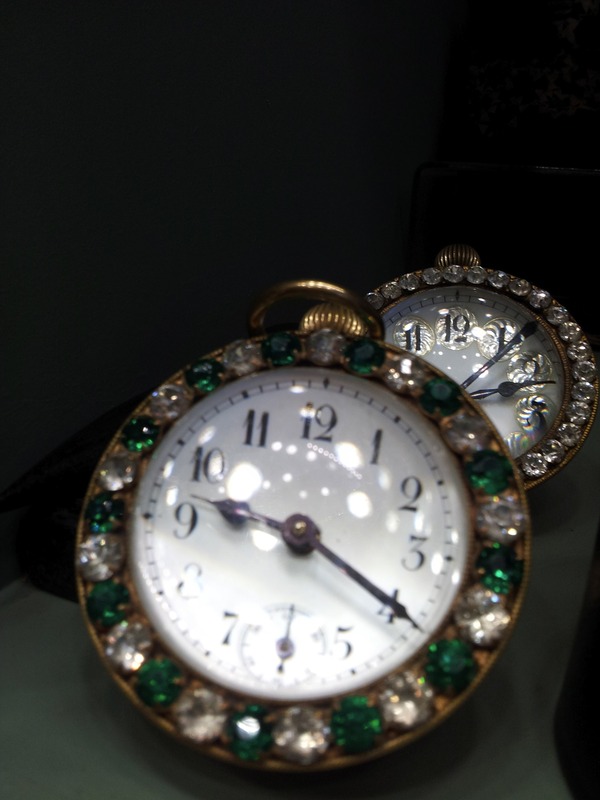 London Olympia Fine Arts & Antiques Fair. Until June 16th 2013. Arabesque Galerie Germany @ London Olympia Antiques Fair until June 16th 2013. 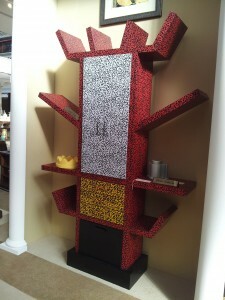 HICKMET FINE ARTS PRESENTS “DOURGA”, SCULPTURE by CHIPARUS. 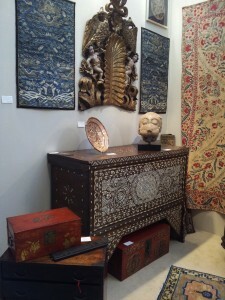 OLYMPIA Fine Arts & Antiques Fair. 6-16 JUNE 13. Hickmet Fine Arts presents, sensational “DOURGA”. Inspired by a dancer from the Ballets Russes. In an elaborate body skimming bronze leotard. Chryselephantine, bronze & ivory sculpture. By Demetre Chiparus, circa 1930. On its 2 tone marble plinth. 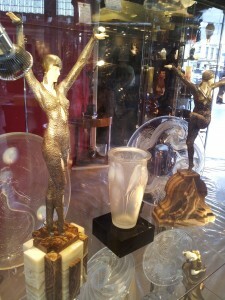 Shown with 1930’s Lalique opalescent glass vases & plates. These iconic items can be seen in the reference books for the period. 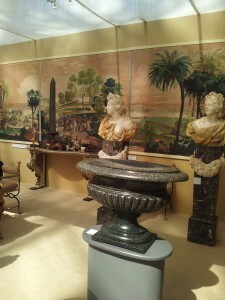 LONDON OLYMPIA FINE ARTS & ANTIQUES FAIR. 6-16TH JUNE 13. 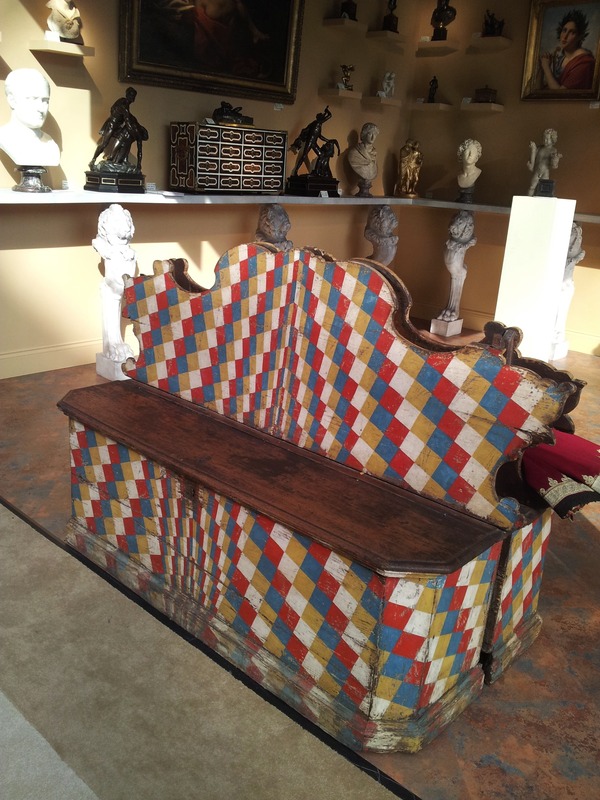 LONDON OLYMPIA FINE ARTS & ANTIQUES FAIR. 6-16 JUNE. FROM A FABULOUS ITALIAN COLLECTION OF OLD FASHIONED STOVES, DECORATED WITH ANTIQUE HAND PAINTED CERAMICS TILES, IN UNIQUES COLOURWAYS. 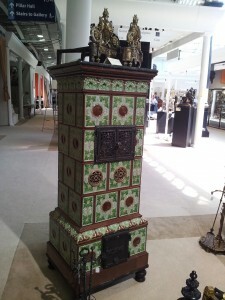 STOVES MOSTLY SOURCED FROM EASTERN FRANCE,ITALY & MITTEL-EUROP. LONDON OLYMPIA ANTIQUES FAIR 6-16 JUNE 2013. LONDON OLYMPIA FINE ARTS & ANTIQUES FAIR. JUNE 6-16. 13. LONDON OLYMPIA FINE ARTS & ANTIQUES FAIR 6-16 JUNE. LONDON OLYMPIA 6-16 JUNE 2013. HICKMET FINE ARTS. ART DECO MAGIE. ART DECO MAGIE. A presentation of silvered Leutz glass & Bergman Vienna Bronze. Hickmet Fine Arts. London Olympia Fine Arts & Antiques. June 6-16. 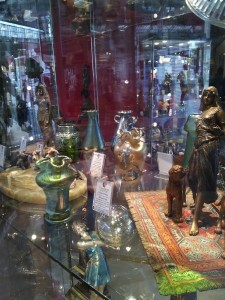 LONDON OLYMPIA FINE ARTS & ANTIQUES OPENS. LONDON OLYMPIA FINE ARTS & ANTIQUES OPENS. 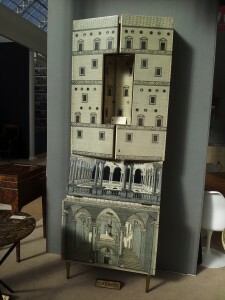 MASSIVE SHOW OF BEAUTIFUL OBJECTS & FURNITURE TO COLLECT FOR SPECIAL HOUSES. 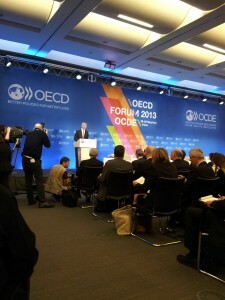 OECD FORUM 2013.Jens Stoltenberg, Norway’s Prime Minister. OECD FORUM 2013. Norway’s Prime Minister, Jens Stoltenberg, giving the Key Note Speech, 29th May 2013. A useful brainstorming on the preoccupations of OECD member Governments. Key thru the discussions, How to bring down youth unemployment ? 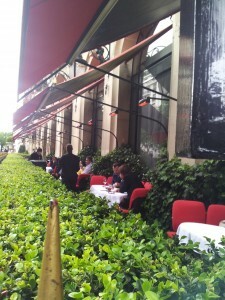 Plaza Athenee Hotel, garden terrace. 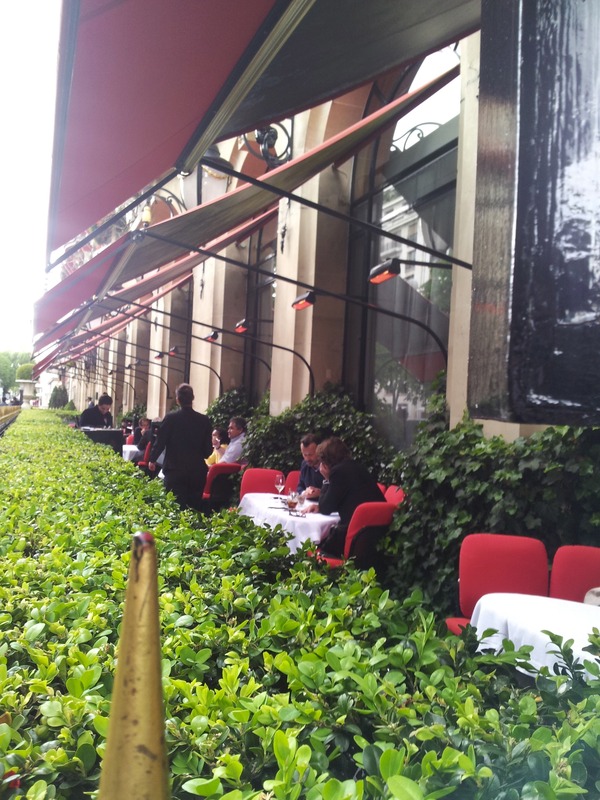 2 minutes from the river Seine, & across the river from the Eiffel Tower, on Av. Montaigne, Paris. 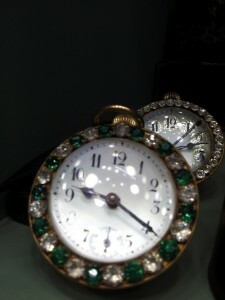 Marilyn Monroe & Jane Russell immortalised Harry Winston diamonds,in the song “Diamonds are a Girl’s Best Friend”. 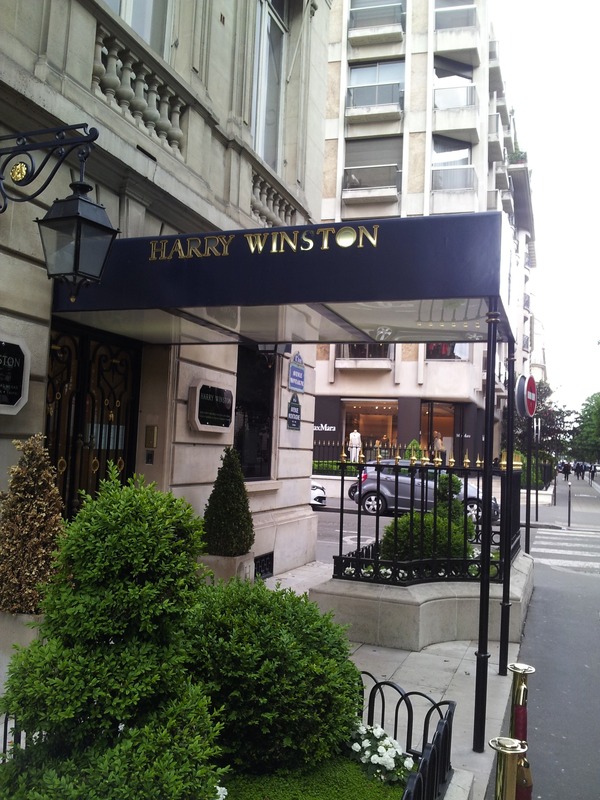 Marilyn Monroe & Jane Russell immortalised Harry Winston’s diamonds in the song “Diamonds are a Girl’s Best Friend”. The Harry Winston store is next to ultra chic Hotel Plaza Athenee in Paris. 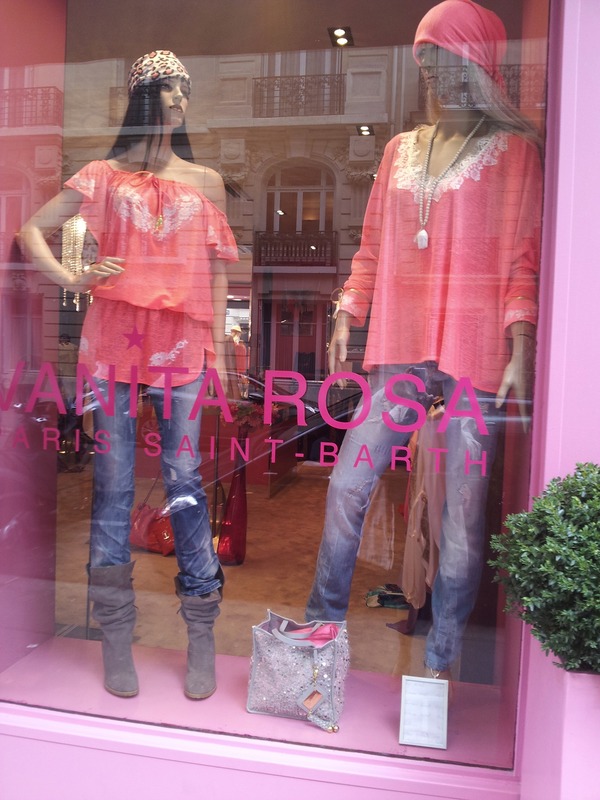 Fashion for the seaside, in Paris Summer 2013. Christian Dior. Av. Montaigne. Paris Summer 2013. 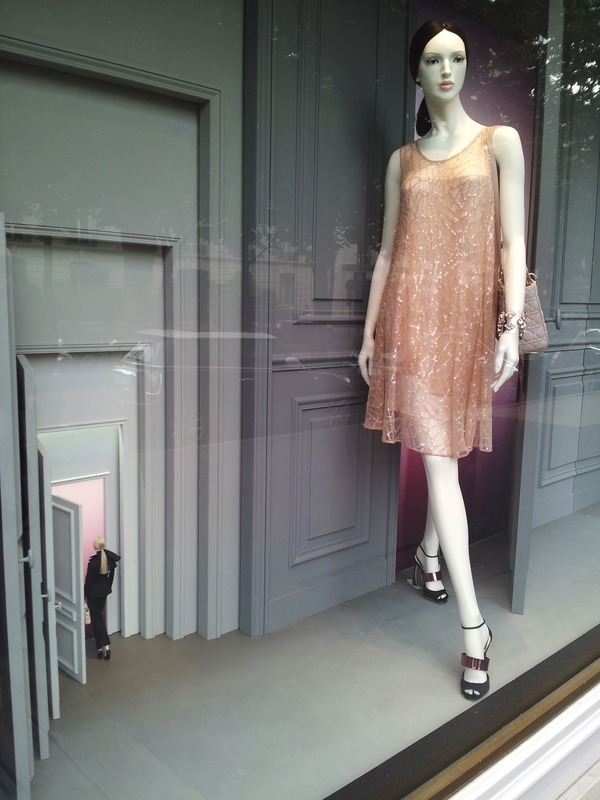 Christian Dior, Luminous,diaphanous silks for Summer 2013. Av. Montaigne Paris. Christian Dior. Av. Montaigne. Paris. Summer 2013. Christian Dior. A shimmering peach silk shift. Summer Windows with perspectives. Av. 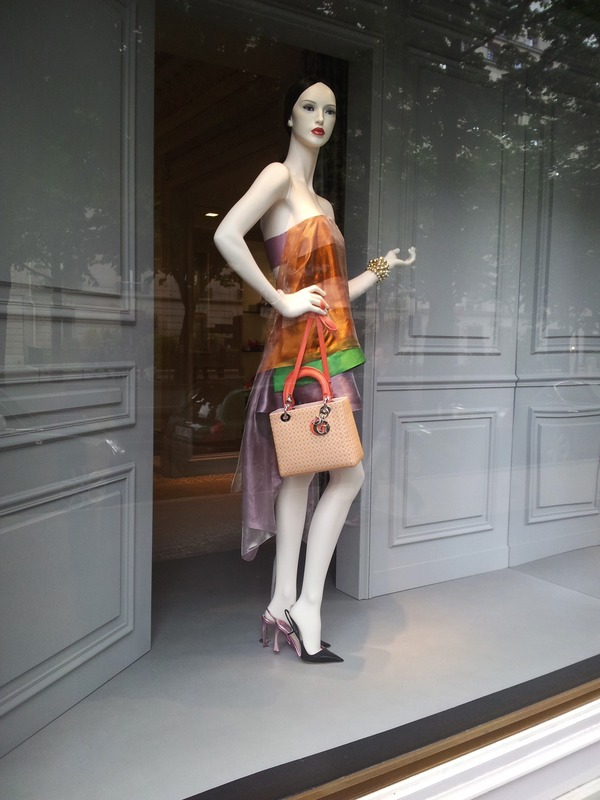 Montaigne Paris Summer 2013.